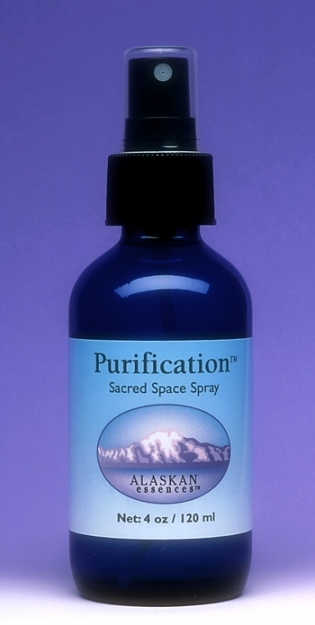 The Sacred Space Sprays are based on the popular Calling All Angels™, Guardian™, Lighten Up™ and Purification™ formulas. Each spray contains complimentary blends of the highest quality essential oils and absolutes which were chosen on the basis of their therapeutic qualities and their ability to ground and enhance the function of each essence combination. 1. Begin to create Sacred Space by centering yourself and making an offering of gratitude. State that your intention is to clear stagnant, inharmonious energies from the environment and replace them with positive, uplifting, life affirming energies from nature and the angelic kingdoms. Call in the elements of Air, Earth, Fire and Water to enhance and add power to the process. 2. To cleanse the environment you are working in, spray Purification™ around the room, paying extra attention to the corners and any areas that feel heavy or dense. Continue in each room you are Space Clearing. Spray Guardian™ around the room or building when you want to invoke safety and protection into the space, and also to seal the space after the clearing has been completed. This is an easy and affordable way to bring more “security” into stores and businesses too! Use Calling All Angels™ when you want to bring a very sacred and peaceful energy into the space. Great for meditation and treatment rooms, yoga studios and nurseries. Use Lighten Up™ when you want to uplift, revitalize, and energize a space. Good for rooms lacking natural light, hospitals and elder care facilities, and anywhere there has been a history of depression. All of these sprays are particularly effective when used in conjunction with traditional space clearing tools that utilize sound, such as bells, singing bowls, and drums. 4. To complete the process, give thanks and ask to close the connection with the forces of Air, Earth, Fire and Water. Notice the vibrancy and freshness of your environment and how good this feels! We recommend using these four sprays on a regular basis to maintain the clarity of your home and work environments. People in the healing professions will benefit from refreshing their treatment rooms between clients. When you travel, Space Clear your hotel room when you arrive and mist your rental car when you pick it up. If you move into a new home or office, use these sprays to facilitate your new beginning. We hope you will enjoy using the Sacred Space Sprays as much as we did creating them, and we would love to hear about your experiences with them! Calling All Angels™ Spray gives direct access to the love, guidance, and protection of the angelic realm, bringing soft, nurturing, and serene energy into your heart, physical body and environment. The precious essential oils of Alpine Lavender, Bulgarian Red Rose Otto, Carnation, and Pink Grapefruit add an exquisite beauty to this spray. Children love to spray their rooms at bedtime to create a heavenly environment for peaceful sleep. Calling All Angels™ Spray gives direct access to the love, guidance, and protection of the angelic realm, bringing soft, nurturing, joyful and serene energy into your heart, physical body and environment. The essential oils of Alpine Lavender, Bulgarian Red Rose Otto, Carnation, and Pink Grapefruit add an exquisite beauty to this spray. This spray came out of Jane’s work with children who were having difficulty sleeping, and as a result were keeping their parents up as well. 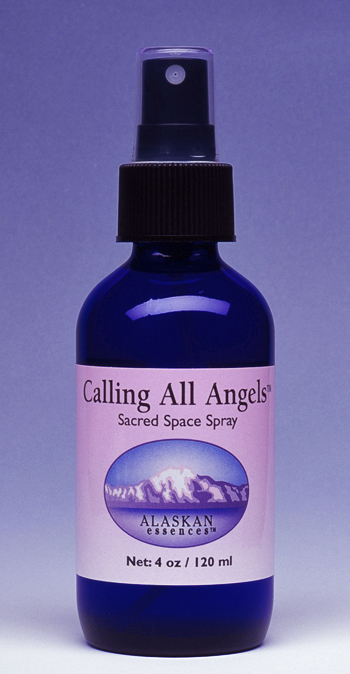 Instead of calling out for mom or dad after waking up, they would use this spray, say “Calling all Angels,” and fall back into a peaceful slumber. It became very popular! Create a sacred, protected space for sleeping and dreaming – for pets too! Call upon the larger forces of goodness to hold and guide you when you feel helpless, lost, challenged or alone. 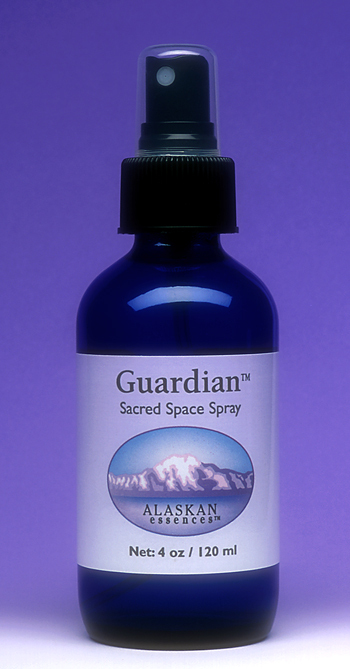 Guardian™ Spray provides a powerful force-field of protection which strengthens your entire energy field. The essential oils of Himalayan Cedar, Lime, Litsea Cubeba, Melissa, and Tangerine enhance protection and grounding. Use Guardian™ to protect yourself from non-serving energies, stay grounded, claim your space, and radiate strong healthy boundaries. Don’t leave home without it! Guardian™ Spray provides a powerful force-field of protection from non-serving energies. The essential oils of Himalayan Cedar, Lime, Litsea Cubeba, Melissa, and Tangerine enhance protection and grounding. Guardian™ reminds us that we are the source of our own protection, with the capacity to embody healthy boundaries. around energies that could deplete us. It connects us with our inner light and helps us radiate this powerful energy outward into our surroundings, so we can stay open and sensitive, while feeling sealed and protected. Lighten Up™ Spray increases your ability to embody light. Infused with the refreshing, sparkling, and uplifting properties of Blood Orange, Bulgarian Lavender, Combava Petitgrain, Lemon Myrtle, and Ylang Ylang Extra essential oils, its overall effect is to energize, inspire and nourish. Use Lighten Up™ to brighten your mood and space, especially during the long winter months, or when tired or overwhelmed. It is great for people and pets who are confined indoors and deprived of the refreshing benefits of nature. 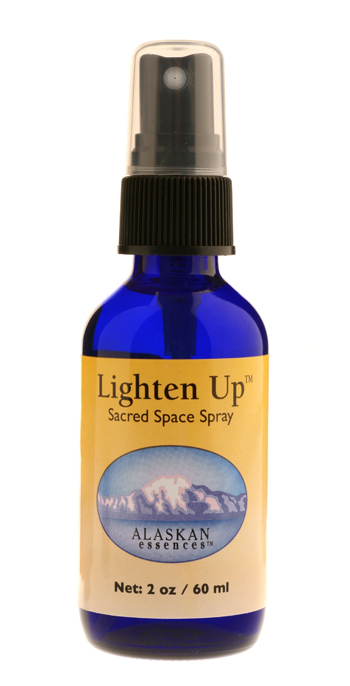 Lighten Up™ Spray increases your ability to embody light. Infused with the refreshing, sparkling, and uplifting properties of Blood Orange, Bulgarian Lavender, Combava Petitgrain, Lemon Myrtle, and Ylang Ylang Extra essential oils, its overall effect is to energize, inspire and nourish. Use to brighten your mood and space, especially during the long winter months or when tired and overwhelmed. Lighten Up™ is great for people and pets who are confined indoors and deprived of the refreshing benefits of nature. 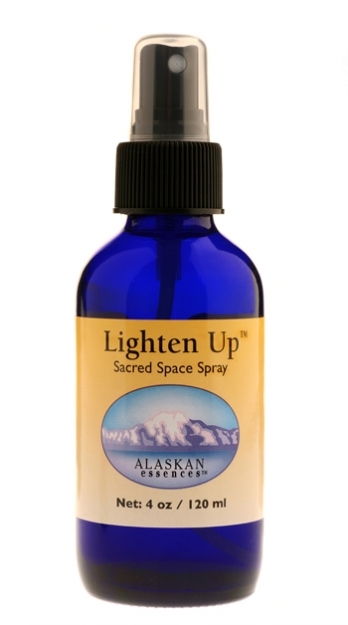 Lighten Up Spray increases your ability to embody light. Infused with the refreshing, sparkling, and uplifting properties of Blood Orange, Bulgarian Lavender, Combava Petitgrain, Lemon Myrtle, and Ylang Ylang Extra essential oils, its overall effect is to energize, inspire and nourish. Use Lighten Up™ to brighten your mood and space, especially during the long winter months, or when tired or overwhelmed. It is great for people and pets who are confined indoors and deprived of the refreshing benefits of nature. Purification™ Spray evokes a feeling of cool winds blowing off of glaciers. It carries an invigorating blast of ionic energy that washes away tiredness and brings a sense of vital aliveness. The essential oils of Black Spruce, Frankincense, Lavender Mailette, and Peppermint enhance the purifying function of the essences and add clarifying, sanctifying, and refreshing qualities to the spray. Use to purify and recharge any environment where there is stagnant or stuck energy, the first step in the Space Clearing process. Purification™ Spray evokes the feeling of cool, refreshing winds blowing off of glaciers. It carries an invigorating blast of ionic energy that washes away tiredness and brings a sense of vital aliveness. The essential oils of Black Spruce, Frankincense, Lavender Mailette, and Peppermint enhance the purifying function of the essences and add clarifying, sanctifying, and revitalizing qualities to the spray. Purification™ transports the purity of the wilderness into our complex man-made environments, awakening our senses and reminding us of our true nature. 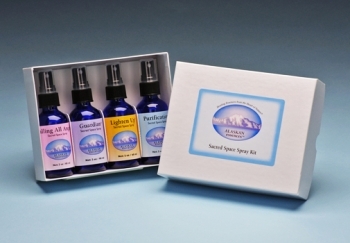 Sacred Space Spray Gift Set features all four Sacred Space Sprays arranged in a sturdy and attractive box. 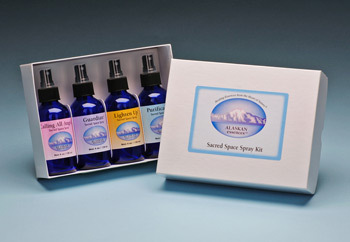 Sacred Space Gift Set features all four Sacred Space Sprays arranged in a sturdy and attractive box.